I was really looking forward to this week’s lesson for the Jane LaFazio sketching class. This week: shoes! 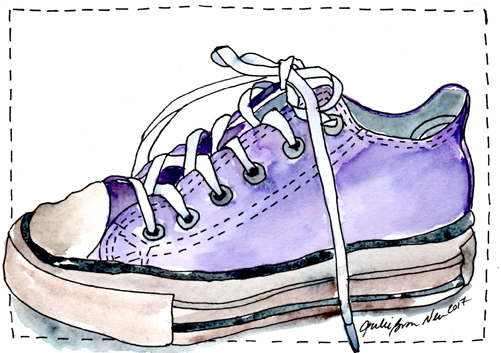 I chose to sketch the Electric Purple Chucks that I bought myself as part of my 40th birthday presents. They’ve become my favorites. But, they are not as dirty as they look in the painting; I just got a little carried away with the brown paint. Nice work and awesome shoes.